UPDATE: We’ve switched around the running order to bring you even more live streaming! Revised information below. 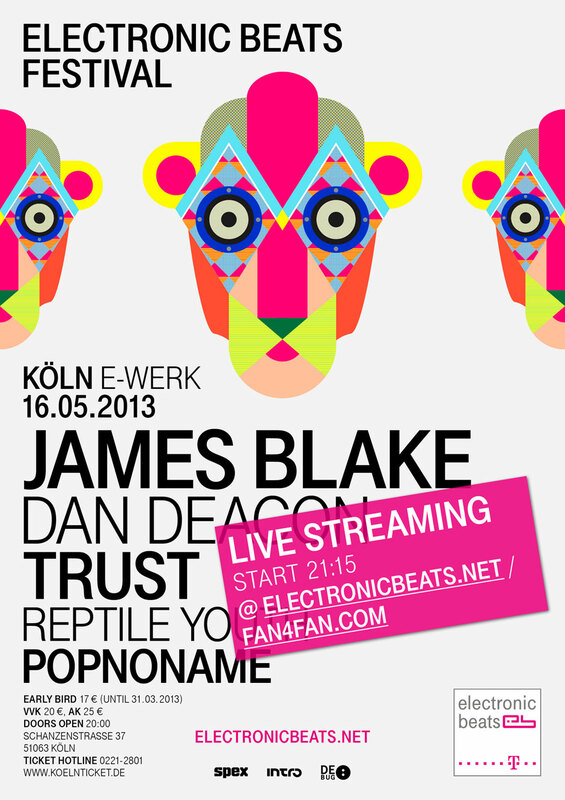 As if it weren’t enough that we are bringing James Blake, Trust, Reptile Youth, Dan Deacon, and Popnoname to Cologne and gave away tickets for it, we can now announce that for everyone who can’t make it in person, we are streaming almost all of this event for you live right here and fan4fan.com. Streaming starts at 9:15pm when Reptile Youth take the stage, continues for Dan Deacon and James Blake, and ends after Trust finishes. DJ Anja Base will be handling all of the changeovers in-between, bringing you a continuous video stream of the action as it happens live. 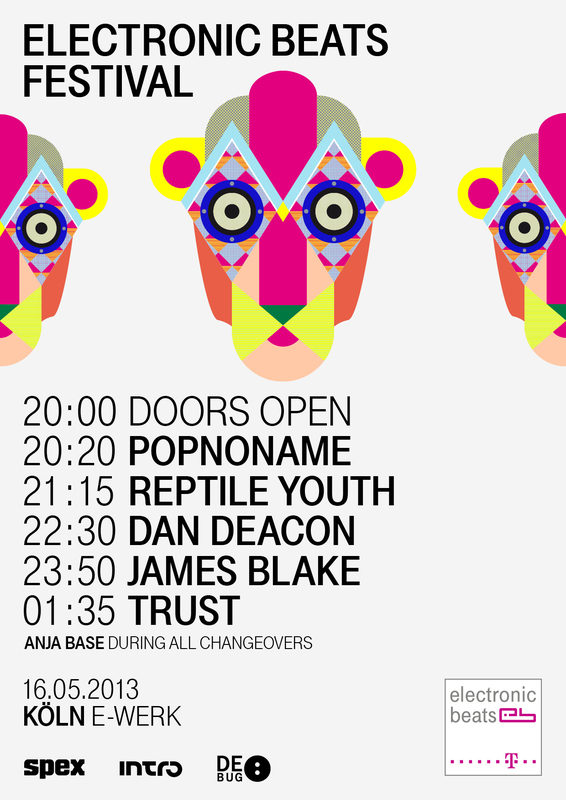 Find the set times on the poster below, and return to this page on May 16th to watch Reptile Youth, Dan Deacon, James Blake, and Trust from the comfort of your own home. Get ready, all the action starts right here starting at 9:15pm CET on Thursday, May 16th.